Eriq Gardner, The Hollywood Reporter про судовий позов студії Fox до Netflix з приводу переманювання працівників і дії Netflix у відповідь. 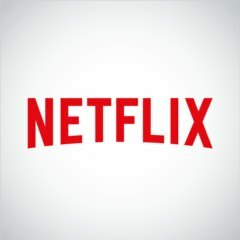 On January 22, the announcement officially came that Netflix was joining the Motion Picture Association of America. Just a day later, Netflix had a bit of a gift for some of its fellow members — subpoenas to Disney, Paramount Pictures, NBCUniversal, Warner Bros plus DreamWorks Animation and Lions Gate Entertainment. Netflix demanded business records in connection with its ongoing fight to free executives from the shackles of fixed-term contracts. The case is currently scheduled for trial in May, but in the past week, there’s been plenty of action. Netflix wants to add Fox Networks Group to its cross-complaint. That would be the Rupert Murdoch division that isn’t set to be sold to Disney. Netflix asserts that some of the same employee-restrictive contracts can be found throughout the Fox kingdom. With fighting between the parties over the maneuvering plus word of new discovery demands in the form of subpoenas to other studios in the entertainment industry, Fox went before the Los Angeles Superior Court judge today in an effort to push the trial back to October. At least for now, that application was denied, though the scheduling could adjust depending on whether the judge allows Netflix to add Fox Networks Group and Fox Entertainment Group as part of the case. The streamer is targeting Fox’s claim of unfair competition in an effort to preclude any injunction that would prevent Netflix from soliciting, recruiting, and inducing Fox employees to leave. The judge is asked to reject as a matter of law Fox’s request for an injunction and any relief under its unfair competition claim.